Dubai: The Egyptian index rose, extending gains for a ninth session as traders continued to plough money into the stocks. The EGX 30 index was 0.18 per cent higher at 14,759.93, after gaining 9 per cent since January 22. Traded volume, which was cornered by real estate and financial services, reached 176 million shares, compared to a 30-day average of 120 million shares. 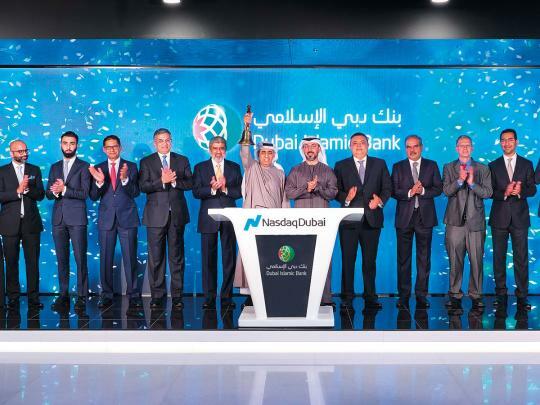 Banks were one of the top gainers in trade with Abu Dhabi Islamic Bank-Egypt gaining more than 4 per cent to end at 12.170 Egyptian pounds. Nozha International Hospital closed 7 per cent higher at 49.77 pounds. “We have been positive since devaluation of the Egyptian pound. The EGX chart has been on a rising trend even though inflation pressures sustained. We are seeing a continuation of the strong trend. We are positive over the 1-3 years,” said a fund manager who did not wish to be named. 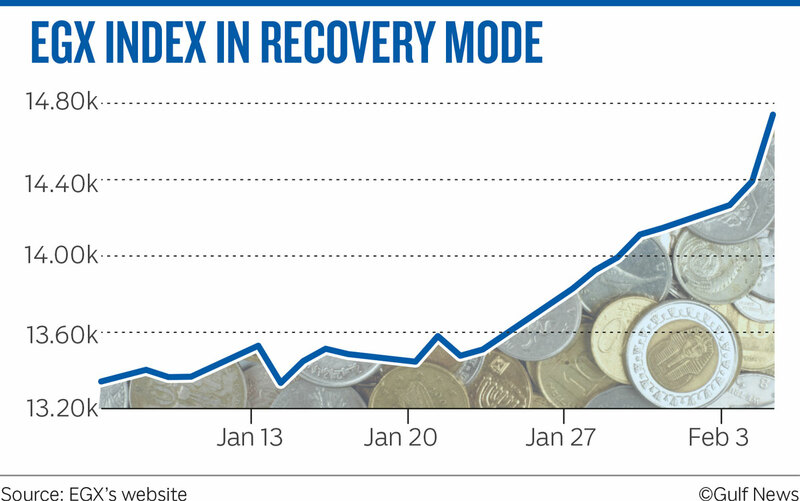 The index has gained 13 per cent since the start of year. Elsewhere in Saudi Arabia, the Tadawul index closed 0.11 per cent higher at 8,633.33. MSCI Tadawul 30 Index ended 0.30 per cent higher at 1,275.3. Saudi Basic Industries closed 0.81 per cent higher at 124.80 riyals. Saudi Fisheries Co. ended 1.8 per cent higher at 71.30 riyals. Al Rajhi Bank ended 0.39 per cent higher at 102.40 riyals. The Dubai Financial Market general index closed 0.56 per cent higher at 2,557.01. Gulf Finance House closed nearly 5 per cent higher at Dh1.06. Emirates NBD closed 2.04 per cent higher at Dh10. “Emirates NBD’s disclosure stirred some positive movement in the index as investors picked up on the renewed approval for a capital increase and the long awaited possibility of an increase in the foreign ownership cap,” Essam Kassabieh, Senior Financial Analyst at Menacorp said. Emaar Malls closed 2.74 per cent higher at Dh1.50, while Dubai Islamic Bank closed 0.71 per cent higher at Dh5.13. The Abu Dhabi Securities Exchange general index closed 0.12 per cent higher at 5,143.24. Etisalat and Aldar Properties witnessed some buying. Etisalat closed 0.47 per cent higher at Dh17.06. “Investors are expected to look at Waha and Taqa’s results and potential dividends,” Kassabieh said. The Muscat MSM 30 index closed 0.20 per cent lower at 4,160.91.